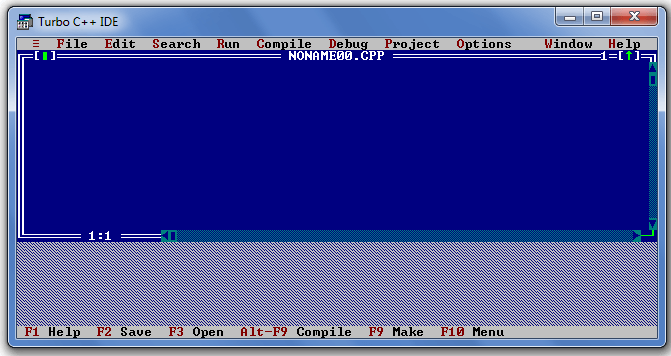 There are many compilers available for C++. 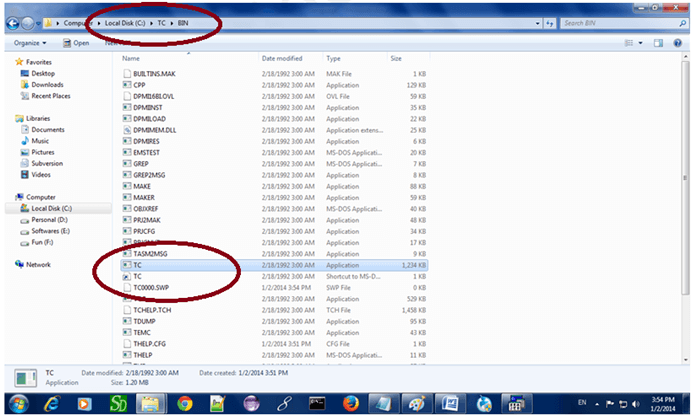 You need to download any one. 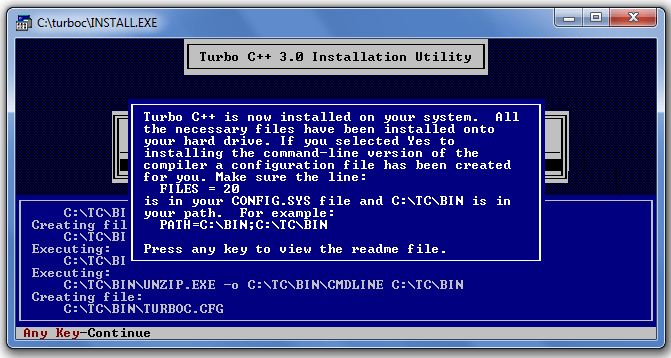 Here, we are going to use Turbo C++. It will work for both C and C++. 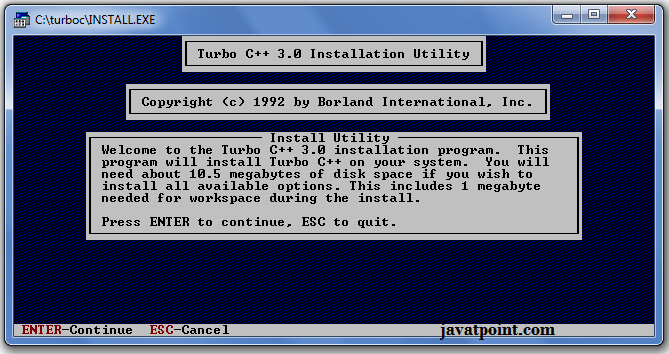 To install the Turbo C++ software, you need to follow following steps. 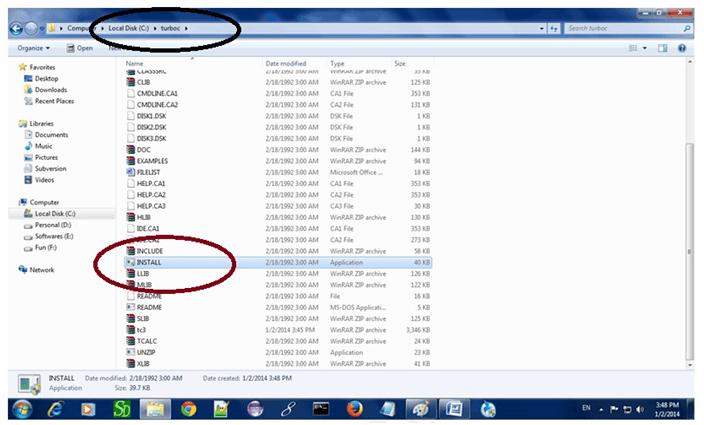 In windows 7 or window 8, it will show a dialog block to ignore and close the application because full screen mode is not supported. Click on Ignore button.